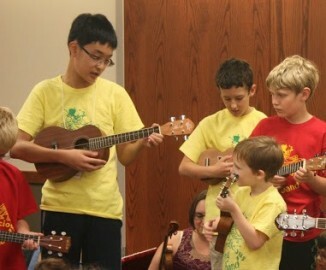 Do you play guitar, ukulele, or mandolin? Or do you already play an instrument and want to try one of these? We have a place of you to get together with other strummers and play tunes this summer! Your teachers will show you chords and strumming patterns, and lead you in playing songs. They’ll show you some songs they know, and you can suggest songs you want to play! You can sing along if you like! For people who have already played another instrument for at least a year, and what to try one of these. People who are absolute beginners should have some lessons before trying this group. We can get you started with lessons, and you can join this group later in the summer. $100 for the summer. All sheet music included. You need to bring your own instrument. You may be able to rent one of ours if you don’t have access to one. Prorated cost may be negotiated if you can’t attend all sessions. Financial assistance available based on need.